For the past 20 years, Katherine Leigh Myers has remained committed to working with students with a wide range of physical and learning disabilities to help them succeed. As an assistive technology specialist for the Office of Disability Services at Wright State University in Dayton, Ohio, she matches students up with different types of technology and broad spectrum software according to their individual needs and teaches them how to best utilize it. This technology allows them to make their lives easier, and, in some cases, take up hobbies that would have been too difficult before. She also specializes in career counseling, student affairs, and leadership development, and is particularly proud of her role in keeping the department together during difficult times. Ms. Myers considers her greatest strength to be her empathy for families affected by disabilities and her understanding of their needs. Her son, Rob, was born a non-oral quadriplegic, and in 1990, he started using a computerized communication device to help him speak. Ms. Myers and her son fell in love with the technology, which granted them the ability to communicate with much more ease than before, and she immediately decided that she wanted to help others in similar situations. In addition to her career with Wright State University, which includes teaching graduate level courses on assistive technology, Ms. Myers continues to be involved with a variety of institutions concerned with the disabled. She has spoken at the University Northridge Conference on Technology and People with Disabilities, and at the High Ground Conference on Assistive Technology. Further, Ms. Myers is the co-chairman of the board for Rob’s Rescue, an organization she established in her son’s name that provides education and awareness on the need for training and preparation for families and emergency responders when dealing with individuals with special needs. She also created a disability-related scholarship to honor her father, Robert Milling, who was instrumental to her achievements. The scholarship was presented to its first recipient in April 2017. When she is not working with her students, Ms. Myers enjoys quilting, crocheting, listening to music, and playing the piano and organ. She is also very involved with her community, and holds memberships with the Association on Higher Education and Disabilities, the Rehabilitation Engineering and Assistive Technology Society of North America, and the Southwest Ohio Consortium for Higher Education. Additionally, Ms. Myers is a volunteer and member of the choir at Patterson Park Church. She also holds a leadership role in the celebrate recovery program at the church to help those suffering from addiction, co-dependency, and anxiety. 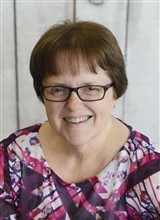 Ms. Myers prepared for her endeavors by earning both a bachelor’s degree in rehabilitation services in 1194 and a master’s degree in rehabilitation and counseling those with severe disabilities in 2005 from Wright State University, which offers one of the most progressive programs in the country for students with disabilities. She holds an assistive technology professional certification through the Rehabilitation Engineering and Assistive Technology Society of North America. As a testament to her success, Ms. Myers was recognized in “Women of Distinction Magazine” for her passion for technology and her leadership and accomplishments in her field.